Will rarely leave me all alone. 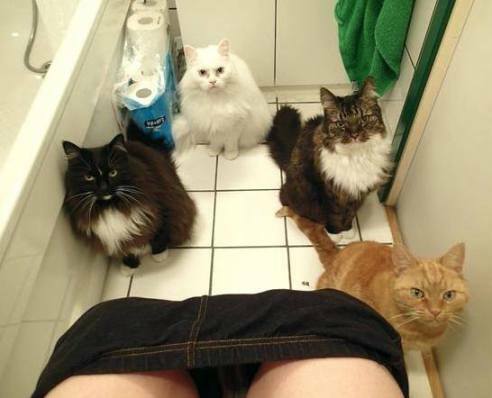 That now I have to privacy. And they always want to be fed. Of enjoying a private pee. Because they like to watch me dress. I've had whiskers poked in my ears. I've had raspy tongues dry my tears. They can't stand to be left alone. They'll curl up with me on the couch. To believe that cats are aloof.